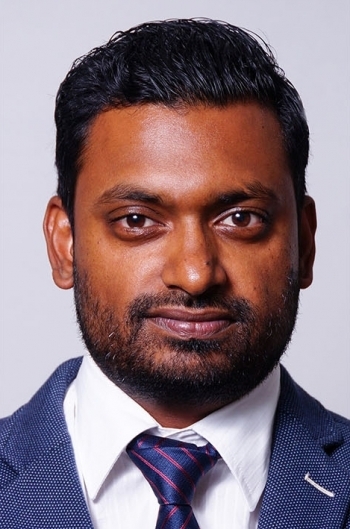 Adhil obtained his PhD in Neuroscience from the University of the Witwatersrand, Johannesburg in 2011. He then completed a postdoctoral fellowship at the University of California, Los Angeles (UCLA) and Moscow State University. In 2014, Adhil was an awardee of a Research Career Award from the National Research Foundation (NRF) of South Africa, and served the duration of this 5 year award as Senior researcher in the lab of Prof. Paul Manger at the University of the Witwatersrand, Johannesburg. Adhil joined the Division of Clinical Anatomy and Biological Anthropology in November 2018. His research interests are vested in the understanding of comparative neuroanatomy, specifically the neuroanatomy of the sleep-wake system. Adhil typically employs the techniques of electrophysiology, immunohistochemistry, and stereology in his line of research. Sleep is a behaviour common to all organisms, yet its function remains a mystery. By understanding how sleep behaviour and the neuroanatomy controlling this behaviour varies across different vertebrates, we can then start to understand the evolution of this common behaviour and possibly begin to infer its function.